This is such a fun read! Summer Butler’s second adventure fully captured my imagination and made me smile. This time around, Summer is investigating a string of arson attacks and her cousin Dixie is the main suspect. This is a gentle read. I loved the careful and very funny observations of small town Southern life and the slightly satirical take on reality television. The characters in Sweet Briar really come to life in this story. I enjoyed the relationships and the conversations that the author captures – some of the dialogue is absolutely brilliant. 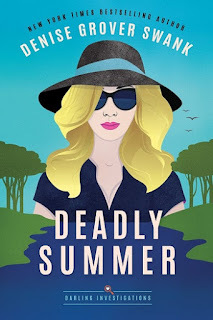 There is probably even less romance in this story than there was in the first one but there is more action and excitement as Summer’s investigation heats up. I like that I didn’t immediately guess the whodunnit. The mystery part of the story feels quite silly at times but there is actually quite a complex plot that Summer unravels. Everyone in town is a suspect at some point in the book and I really enjoyed the building tension. This was a great read. I didn’t love the first book but this one really made me smile. I’m looking forward to Summer’s next adventure. 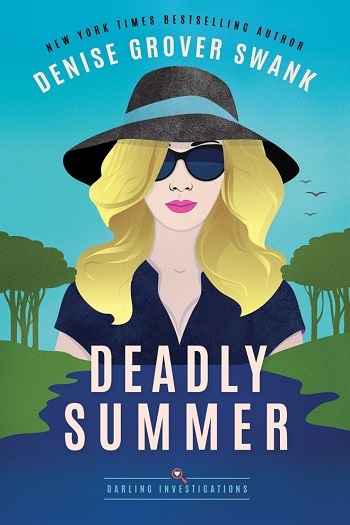 For reviews & more info, check out our Deadly Summer post. Denise Grover Swank is the New York Times, Wall Street Journal, and USA Today bestselling author of the Rose Gardner Mystery Series, the Magnolia Steele Mystery Series, The Wedding Pact Series, The Curse Keepers Series, and others. She was born in Kansas City, Missouri, and lived in the area until she was nineteen. Then she became a nomad, living in five cities, four states, and ten houses over the course of ten years before moving back to her roots. Her hobbies include witty Facebook comments (in her own mind) and dancing in her kitchen with her children (quite badly, if you believe her offspring). Hidden talents include the gift of justification and the ability to drink massive amounts of caffeine and still fall asleep within two minutes. Her lack of the sense of smell allows her to perform many unspeakable tasks. She has six children and hasn’t lost her sanity—or so she leads you to believe. 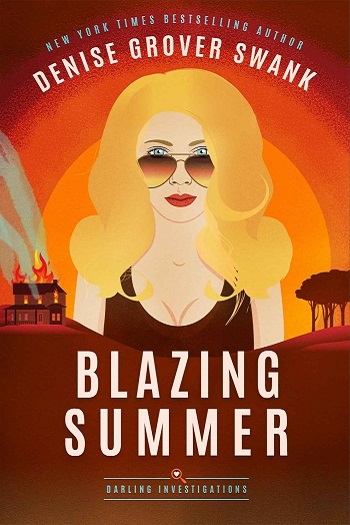 Reviewers on the Wicked Reads Review Team were provided a free copy of Blazing Summer (Darling Investigations #2) by Denise Grover Swank to read and review.